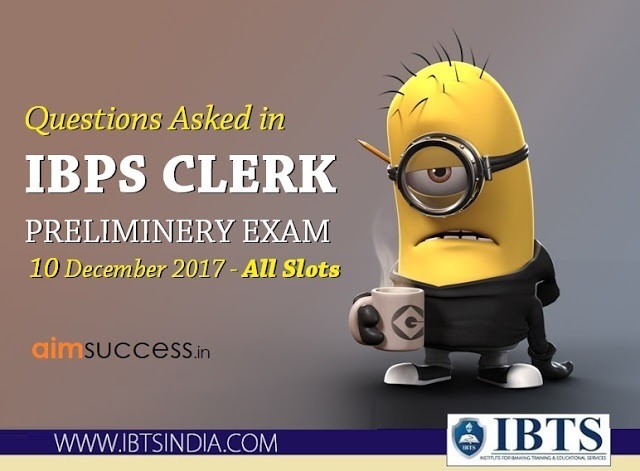 Read the below article carefully on Questions Asked in IBPS Clerk Prelims 10th Dec 2017 - All Slots to see which topic is being asked the most, types of questions etc. 8 persons are seated in straight line. All are facing North. S is fourth from left end. Only one person seat between S and W.T is immediate left of W. Neither U nor P seat at the extreme ends. P is immediate right of U. U is not neighbor of S. V is in immediate right of R.
Q2. How many persons sit between W and S? Q3. Who sits at the immediate right of T? Q4. Who sits at the immediate left of U? Q5. Who sits at the extreme right end? Q6. Who sits at the extreme left end?